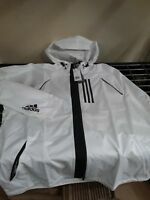 Details about Adidas Golf Classic 3 Stripes 1/4 Zip Pullover Men's 2018 New - Choose Color! Purchased before, great price and quick delivery. Thank you! Perfect! Fast shipping and just what I wanted.